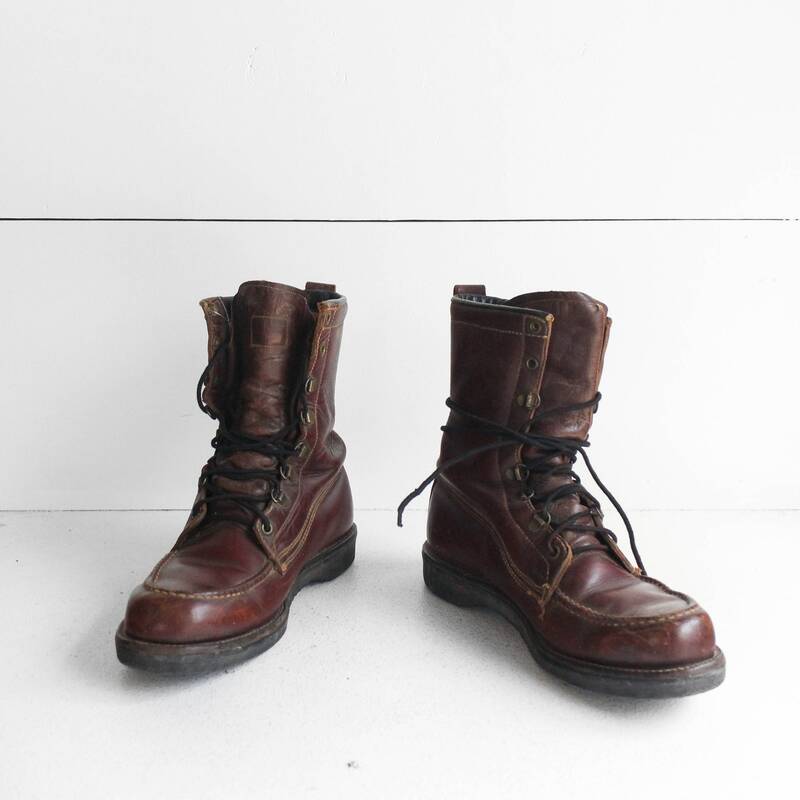 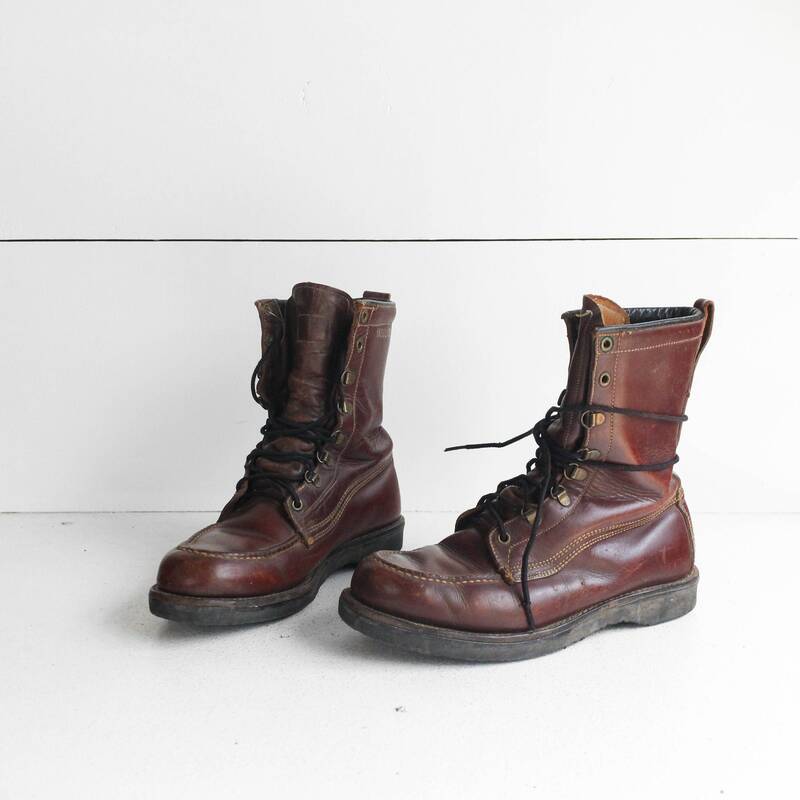 These vintage boots are made by the John C. Roberts company. 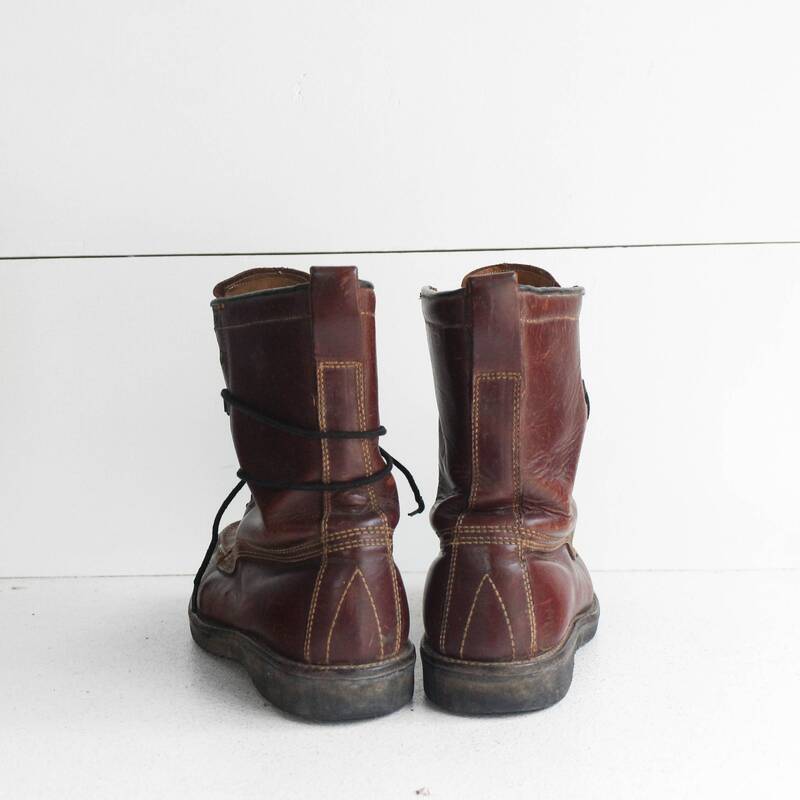 The boots have moccasin stitch toes and thick Cush-N-Crepe soles. 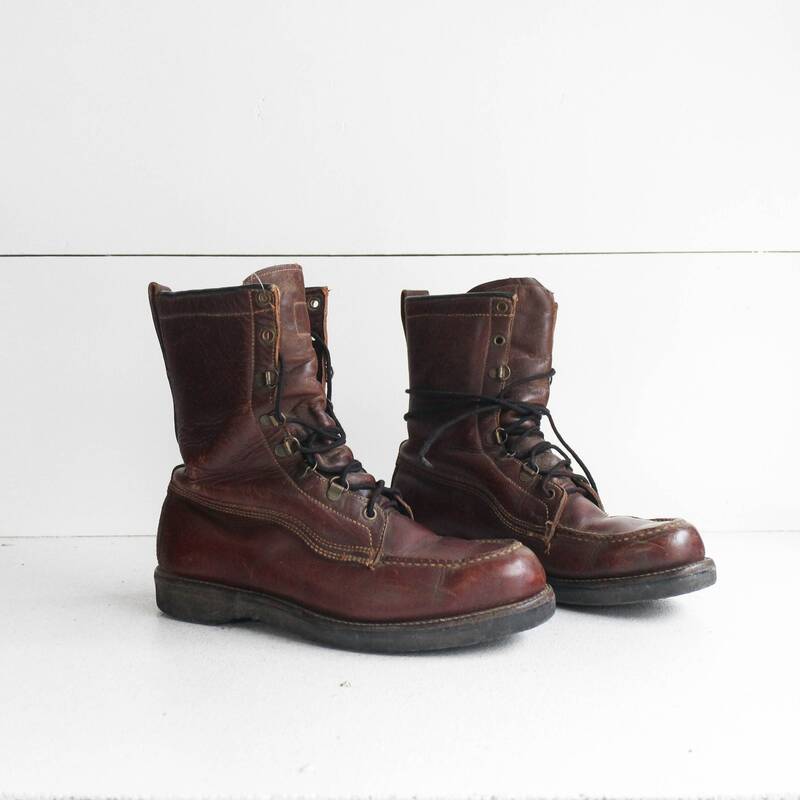 The boots are insulated for extra protection and warmth. 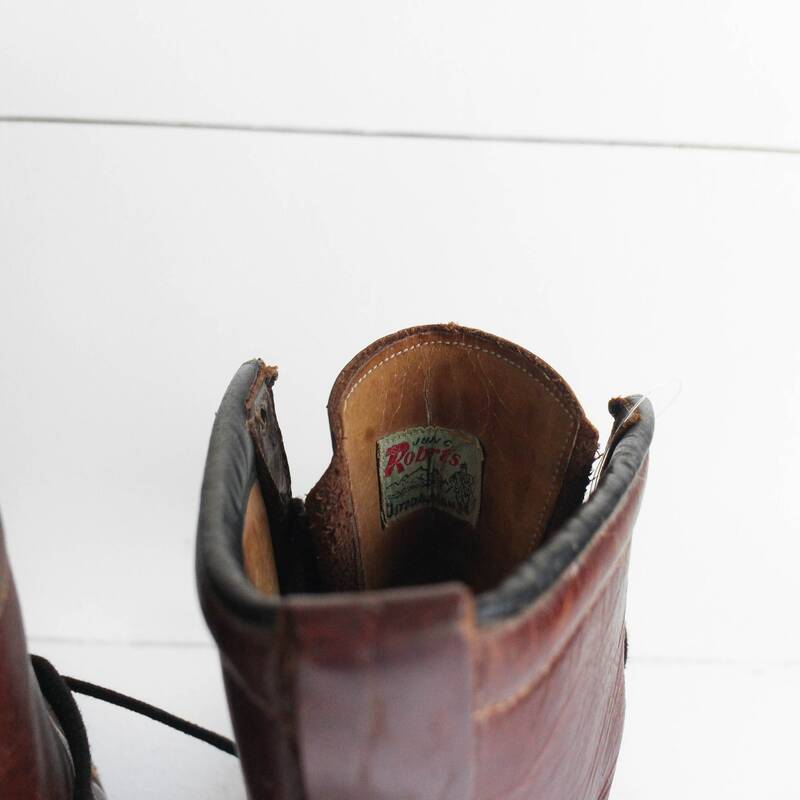 They have wear on the soles and inside lining. 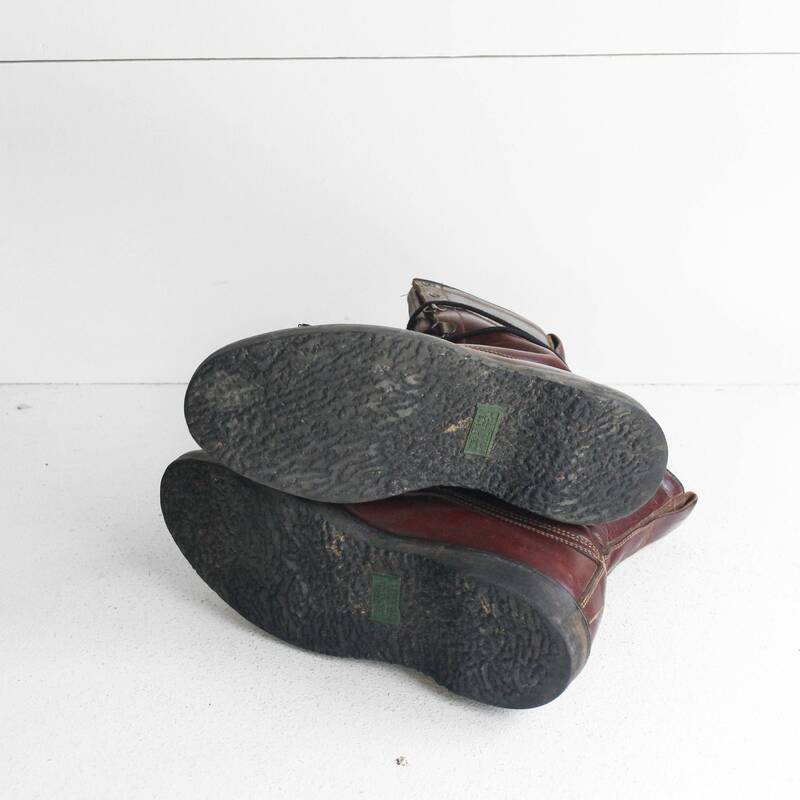 The leather uppers have scuffs and wear.